We have done an extensive research and compiled a list of things that every traveler must know before or while traveling to Amritsar. We are committed to reshaping the perspective of Amritsar Tourism and this here is a small token of gratitude to the fellow travelers. Hope this helps. It starts in the month of April and lasts until June. The season is very hot and the temperature reaches up to 49 degrees Celsius. Travelers generally avoid this season because of the scorching heat. July to October marks the monsoon season. The city experiences mild to heavy rainfall during this season. It gives much relief from the scorching heat of the summer. The climate is moderate which makes the weather cool and pleasant. Winter in Amritsar starts in November and lasts through March. The temperature range during this season is 4 to 18 degrees Celsius. January is the coldest month of the period. Amritsar international airport (IATA: ATQ, ICAO: VIAR) is about 11 kilometers (7 mi) northwest of the city center. The major international cities connected are London, New York, Bangkok, Washington, Madrid, Milan, and Sydney. The domestic flights have direct connectivity to Delhi, Bangalore, Mumbai, Ahmedabad. If you cannot get the flights of your choice, you can choose to land at Delhi international airport and then take a train to Amritsar. After you get down the airport at Amritsar, grab a taxi to your hotel. Ola Cabs(Android | iOS)provides reliable taxi services. Amritsar railway station is well connected with cities like Delhi, Ludhiana, Lucknow, Mumbai and Kolkata with multiple trains running throughout days. It is about 1.7 km away from the city center. You can use www.irctc.co.in or the IRCTC rail app (Android | iOS) to book the tickets. The following are major trains you can get to and from Delhi that run daily. Amritsar is well connected by road with all the major cities in North India. It is easily accessible by bus or car. The major connected cities are Chandigarh (~230 km) and Delhi (~450 km). The nearest inter-state bus terminus is 1.1 km away from the city center. The major bus services are Redbus and Volvo. You can use Redbus to book your tickets online. The city of Amritsar has a blend of languages owing to the fact that people of many religions AND cultures reside here. Among the many languages spoken in Amritsar, the following are the prominent ones. However, Punjabi is the eminent language in Amritsar. In a crowded city like Amritsar, there are a few local transport services to choose from. The city has rickshaws and e-rickshaws to cover the short distances in the city and these are one of the popular forms to see some of the minute city details and move in the nook and cranny of the city. The cost is around INR 10 to INR 40. If you want to save time, there is an option of autos or tuk-tuks that are running all around the city. Do keep in mind that these autos do not have a fare meter installed on them and hence you should settle the fares before getting in. Usually, these autos are a shared means of transport. An auto typically costs you somewhere between INR 50 to INR 100. This public transport is a cheap form of local transport costing around INR 20. There is a free bus-service run by the Golden Temple Trust, which carries tourists from the railway station to the Golden Temple and is a quick way to cover this route. There are many car rental services available in Amritsar which can be availed for sightseeing. These services have become quite famous recently due to their alleviation in other forms of transport. Cab services by Ola cabs are a famous, quick and convenient form for tourists. These cabs can be booked using the Ola app (Android | iOS) which provides all required information about maps, drive details and cost to the customers. A cafe is a perfect place to relax, have coffee and light snacks, maybe a casual meet. Amritsar has its fair share of cafes. We’ve listed down a few for your reference. If you need to relax and have a glass of beer and enjoy some music, the following are the bars that you could visit. In recent times Ola cabs(Android | iOS) has become the most congenial and convenient form of local transportation in Amritsar. The App allows customers to make payment through commodious options. For solo travelers, it is a reliable transportation form as it includes security options in its policy. If you do not feel like going to restaurants for having your meal, Food Panda(Android | iOS) can be your savior. It provides you delivery of food from almost all the restaurants with the guarantee of on-time delivery. Weather can be dubious so it is better to have Accuweather(Android | iOS) app handy before you plan to visit different places in Amritsar and to be prepared for the unpredictable weather. For any untoward happening with hotel bookings, Oyo Rooms(Android | iOS) are prominent in last minute booking offering discounts and other offers on room bookings. The Local Arcade in the Amritsar is always full of commotion. The local shopping places in Amritsar not only give you the local spirit but is also budget friendly. Apart from clothing, you can also buy the local souvenirs. Hall Bazaar is one of the trademark old markets in Amritsar. It is on the way to the Golden temple. There are many things you can buy. Patiala salwar-kameez is considered as the traditional dress for the women of Punjab. There are shops for Jootis which is the traditional footwear. There are certain shops in hall bazar that sell the famous spices of Punjab and food items in which Amritsar is specialized, like papad wadiyan. Shops of weaponry sell swords and daggers called Kirpan. Katra Jaimal Singh bazaar is another famous market in Amritsar for the textile and clothing items. The place sells colorful and fine fabrics. The market is famous for Phulkari and good quality of wool. You will also find woodwork goods. Guru bazaar is for jewellery shopping. 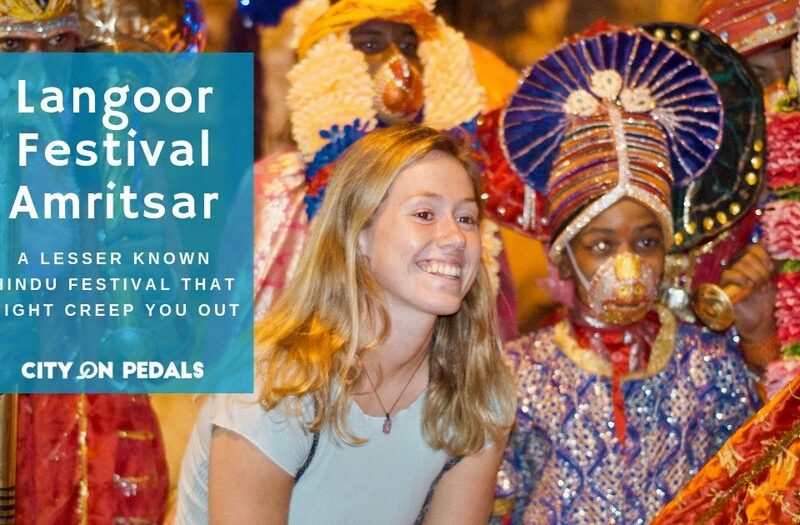 The main attraction you can find here is the traditional Indian jewellery which is called jadau. Here you can also find chess pieces which are carved out from the British time, chess pieces carved out from ivory, sandalwood are very famous here. Lawrence Road is the shopping haven where everything from branded clothing stores, modern wares of carpets to bangles, shawls, woolen textiles are found. There are eating joints and coffee shops where you can satisfy your hunger in the middle of your shopping spree. There are numerous shops to buy Indian sweets, Novelty Sweets being one of the most famous. This place is a buyers’ hub due to it being one of the most popular wholesale markets for textile and garments in Amritsar. This market also carves a niche as a place that is full of accessories to buy. You also come across stores selling ethnic wear. Amritsar has a diverse, rich color and has a lot to offer. Tourists find Amritsar comparatively more easy on the budget than other Indian cities because the major attractions of Amritsar are open for exploration without any fees. There are very few places of visit in Amritsar that charge you an entry fee. The Golden Temple, Amritsar is not only a central religious place of the Sikhs from all over the world but is symbolic of brotherhood and equality. Everyone, irrespective of caste, creed or race is welcomed to find the inner peace and seek the blessings of almighty. The four entrances of this holy shrine from all four directions, signify that people from every religion are equally welcomed. Best time to visit is in the morning and also do not forget to have langar after seeking the blessings. You can hire a taxi from your hotel, book a cab or local transport in form of autos and rickshaws are available. Gobindgarh Fort is a historic fort of Maharaja Ranjit Singh located in the center of the city of Amritsar. The Fort was earlier occupied by the Indian Army but is now open to the public from 10th February 2017. Today the fort is a repository of Punjab’s glorious history spanning over 257 years and has attracted a number of visitors by hosting 7D Maharaja Ranjit Singh show, Kanda Boldiyan Ne (The whispering walls) which is one of its kind. The Fort is operational from 10:00 am to 9:30 pm. The whispering walls show starts only in the evening and is hence the best time for the tourists. The 7D show runs from morning until the night time. The entry ticket is INR 25 without the inclusion of the shows. 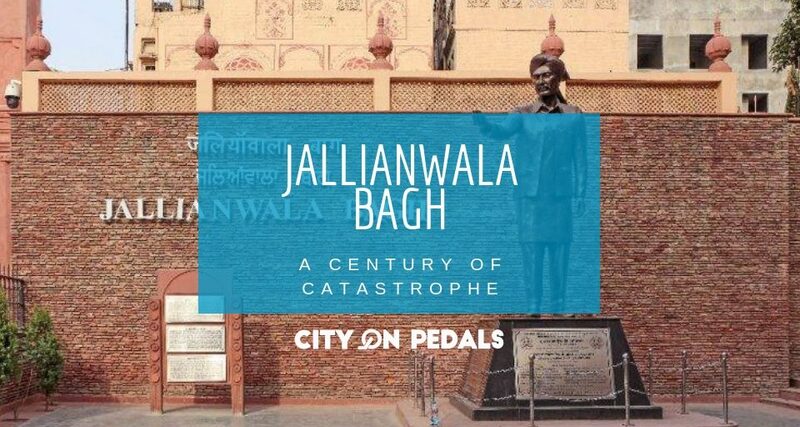 Jallianwala Bagh is at a walkable distance from Golden Temple. It is a public garden and holds a history that leaves people teary-eyed. The Jallianwala Bagh massacre took place on 13 April 1919 when Colonel Reginald Dyer ordered British Army to open fire on the gathered people for straight 10 min. There is a historical well and the walls still have bullet marks. The Jallianwala Bagh is open from 6:30 am to 7:30 pm. There is no entry fee. Wagah Border joins India and Pakistan and partition line was drawn here at the time of Indian partition in the year 1947. This border attracts a large number of tourists due to The Wagah Border Ceremony every evening before sunset with the much-vaunted parade by soldiers of both the countries with the national anthem being played of India and Pakistan. As the sun sets, the iron gates at the border are opened by the soldiers and the two flags are lowered in a synchronized manner. The flags are then folded and the ceremony ends with a retreat after handshake between soldiers from either side and the gates close thereafter. Open Time: 10:00 am – 4:00 pm. The Wagah border ceremony takes place at 4:15 pm in winters and 5:15 pm in summers but to avoid any last minute chaos, it is advisable to reach by 3:00 pm. It is easy to hire a taxi from the Jallianwala Bagh for Wagah Border. Shared taxis are readily available and will cost around INR 100/ INR 150 per head. There is no entry fee for the Wagah Border. Amritsar has been rightly depicted as the food capital of Punjab. "First we eat, then we do everything else"
This clearly defines a Punjabi who is a connoisseur of good food. 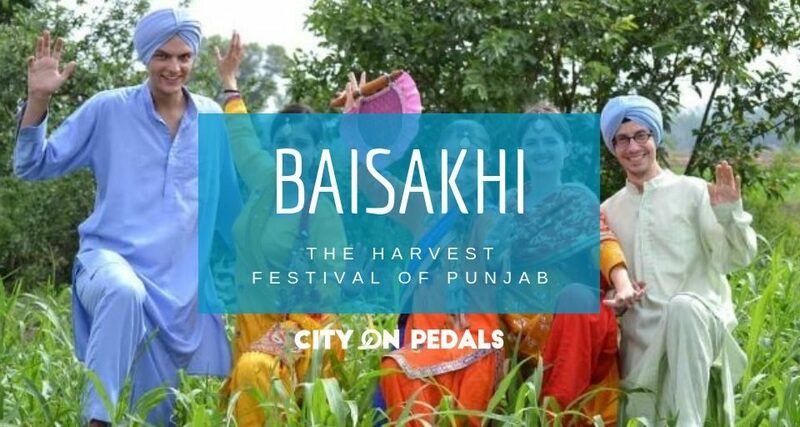 For the Punjabis, food comes before any work not only for themselves but being a true host, they make sure no person who visits Punjab leaves without being mesmerized with food. The abundance of milk, dry fruits, spices and food grains ever since the settlement took place in Amritsar, has made it a leading trading center. As a result of the easy availability of all these ingredients, it has become a food-lovers haven. Everything in the city revolves around food be it festivals, social gatherings or prayers. Only good food has the power to satisfy a true Punjabi. From the sweetest to the spiciest dishes, one can find it all in Amritsar and local dishes are certainly not for the calorie conscious people. The Langar is the term from Sikhism for the community kitchen in the Gurudwaras that serve a free vegetarian meal to all the visitors and The kitchen of Golden temple has been proudly listed in the largest kitchens of the world serving 50,000 people every day and is open 24X7. Kulcha is the maida bread baked in the tandoor. It is crisped with potato and cauliflower stuffing, drenching in butter it gives the right blend of spices. Where to get the best kulchas?! The Beera Chicken House, located at Majitha Road is not the traditional red or charred tandoori chicken, rather it is a whole chicken, marinated in spices and roasted to give you a taste that you will never get over. Their recipe for tandoori chicken has been in existence since 1972. Just around the corner from this place is the Makhan Fish & Chicken Corner, home to the tastiest fish tikkas. These fish are taken from the Beas river and fried lightly in a batter. They aim to provide real Punjabi Cuisine taste. In Amritsar where people swear by ghee and lassi, one must not leave the city without this delightful sweet buttermilk aka Lassi. To get the best of Lassi, go to Ahuja Milk Bhandar or Gian Chand Lassi wale. This local dish of Amritsar is available during the whole year in the restaurants but for the best taste, it is preferred to try this in the winters.Best places to have this is Brothers Dhaba near Golden Temple. After all the wobbling your stomach would have gone through, if you plan on trying international cuisines, Amritsar has got you covered. There are multiple restaurants that provide Italian, Chinese & Mexican as per your cravings. You can try out the following restaurants. Temptation Restaurant – Get the Continental, Italian, Chinese, Mexican, French dishes at this peaceful environment. Pizzeria, Ranjit Avenue- At the affordable price you get the best Italian dishes and the interiors give a luxurious feel.